What does environmentally sustainable polyurethane resin bonded stone mean? The environment is of serious concern to us all and put simply sustainability is a set of ideas and practices with a long term goal of conserving natural resources; minimizing waste, pollution, and other negative forms of human impact; and promoting global environmental and ecological awareness. 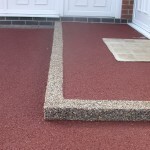 We at Drive-Cote Ltd primarily resurface existing surfaces such as concrete or tarmac to try and minimise the impact on the environment in a sustainable way by reusing as opposed to removing and installing. This means we at Drive-Cote Ltd continually consider resin bonded stone and sustainability. A concrete driveway laid correctly is a solid construction and should last for at least 30 years. 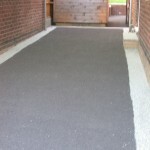 The mess, cost and the unnecessary and environmentally unfriendly need to dispose of the waste – all add to the disruption and unnecessary option in having a new surface laid. So this is where our resin bonded stone and sustainability comes into play. 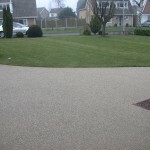 All too often in the natural course of life such as wear and tear damage through the natural weathering process we feel the need to remove and renew as opposed to considering more environmentally friendly choices such as resurfacing and renewing. Polyurethane is widely used and is used in a variety of durable products, offering many years of service. Lifetimes can vary between 3 and more than 50 years depending on the end use. An average lifetime of 15 years for refrigerators (insulated with polyurethane foam) is just one example. The Plastics Industry has the versatility and benefits of goods and articles made from fossil resources, such as oil, gas and coal, or renewable resources, such as starch and sugar. The plastics industry can offer favourable solutions to mitigate many of the threats imposed by future potential resource deficiencies. Although using up some resources, these materials, after a useful life, can either be recycled or can be recovered as a fuel, thus avoiding the separate extraction and processing of, for instance, oil. Mansfield, Ashfield, Bolsover, Shirebrook, Glapwell, Sutton in Ashfield, Derby, Alfreton, Swanwick, Heanor, Belper, Raveshead. 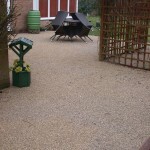 Resin bonded stone the sustainable way to upgrade your driveway path or patio. 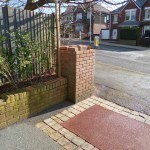 This entry was posted on Sunday, February 21st, 2016 at 1:10 pm	and is filed under Block Paving, Chesterfield, Concrete, Derbyshire, Diary of a Mansfield Resin Driveway Company, Driveways, Latest News. You can follow any responses to this entry through the RSS 2.0 feed. Both comments and pings are currently closed.